BOCA RATON, FL / ACCESSWIRE / October 31, 2018 / Top Draw Animation, a subsidiary of Grom Social Enterprises (OTCQB: GRMM) is proud to announce it has placed Silver at the International 2018 Sydney Design Awards, an award that recognizes brand redesign and development. Top Draw Animation credits include; Tom & Jerry, Little Astro Boy, The Hollow, My Little Pony, and Disney Animation's, Penn Zero: Part-Time Hero. Additionally, Top Draw Animation is expected to begin producing 2D amination to supplement Grom Social's original live-action content in 2019 - supporting its children safe and secure social network, for ages 5 to 16. Wayne Dearing, the Manager Director and Founder of Top Draw Animation commented, "We are extremely fortunate to have a very talented team of artists and creative directors. 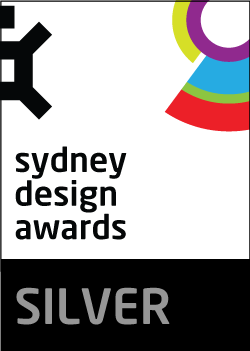 The award is extremely motivating and much appreciated, thank you Sydney Design Awards for recognizing Top Draw Animation and our talented team for their hard work and ongoing passion to the Industry. It's a very exciting moment." Darren Marks, Grom Social Enterprises Chairman and CEO, commented, "Grom Social couldn't be prouder of Wayne and his team and Top Draw Animation's creativity and ability to deliver sticky 2D original content to keep children engaged and entertained Worldwide." Top Draw Animation (a Grom Social Enterprises Subsidiary) is an internationally recognized award-winning producer of 2D animation content for Television, feature films and digital content. The company employees over 500 artists across all its studio and office locations in the Philippines. Since 2017, Top Draw Animation has produced more than 250 half hour 2D animation segments accumulating more than 2,000 half hours accredited content production segments in total under the Top Draw banner. Production credits include; Tom & Jerry, Little Astro Boy, The Hollow, My Little Pony, and Disney Animation's Penn Zero: Part-Time Hero. Grom Social Enterprises, Inc. a leading social media platform and original content provider for children between the ages of 5 and 16; providing safe and secure digital environments for children that can be monitored by parents or other guardians. The Company has several operating subsidiaries, including Grom Social, which delivers its content through mobile and desktop environments (web portal and several Apps) that entertain children, allow kids to interact with their peers, get relevant news, play proprietary games, while also teaching good digital citizenship. The Company also owns and operates Top Draw Animation, Inc., which produces award-winning 2D animation content for some of the largest international media companies in the world. The Company also owns Grom Educational Services, which provides web filtering services for up to an additional two million children across 3,700 schools.